Ian Dickie manufacture and distribute a comprehensive range of tools and equipment designed to unblock drains and pipes, from basic flexi-steel rods and tools to state of the art high pressure jetting machines, we pride ourselves on being able to provide product solutions to match every customer requirement. 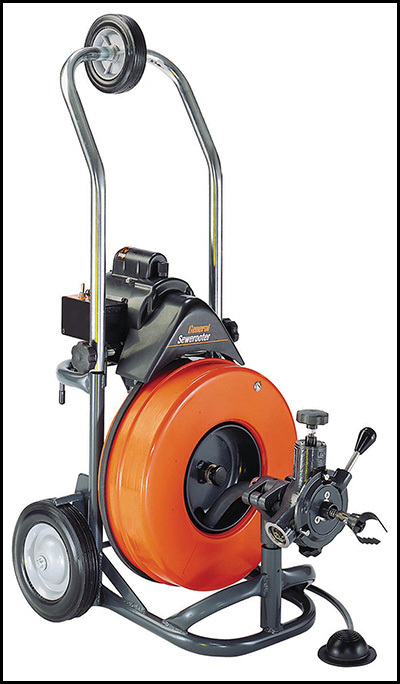 The General Wire T3 Sewerooter is a highly effective electro mechanical, rotating, blockage and root clearing machine that is ideal for plumbers and contractors wanting to clear sand, scale, roots and grease from 50 - 100 mm sewer lines. This robust and highly maneuverable machine boasts 30m of cable and plenty of driving and pulling power for long difficult jobs, while it’s field tested design offers hassle free handling, with one operator easily able to load the unit onto a truck using the loading wheel. 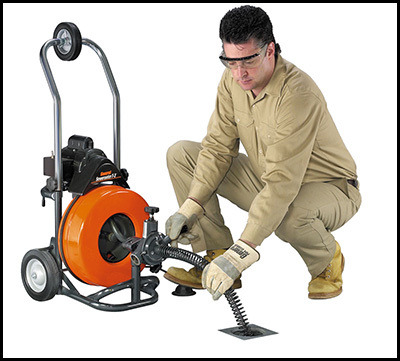 For more information on the T3 Sewerooter or to enquire about our broad range of Drain & Pipe Cleaning equipment please do not hesitate to get in touch via our contact page. Our sales team will ensure that your queries are attended to quickly and efficiently.